Such great finds! I love the top! I love h&m and those trousers are BEAUTIFUL. Hello Maja, thank you for your lovely comment! Sure I would love to follow each other, so if you're still interested then follow me and I will follow you back too! Hey! Your blog is gorgeous 🙂 I love it! the shoes are beautiful. Of course I'd love to follow each other- thank you for your comment 🙂 Following you now! THOSE SHOES! I have been looking for a pair just like them for ages! Glad to know they do not make too much noise. I hate when shoes are clunky. Thank you for the super sweet comment on my blog! 🙂 Sure I'd love to follow each other. I'm following you now on gfc and bloglovin. Please follow back! hola guapisima bonito blog yo ya te sigo en bloglovin y en gfc espero tu tambien me sigas de buelta besosss. Love the things you've bought ! Of course we can follow each other, I follow you now! Shoes of dream! <3 thanks for follow! Great haul. Love those boots even though I could never walk in them! I'm always wearing flats, not worn heals in years! Really pretty pants! I love the owl trend. Love your blog!! Super great, would love if we could follow each other? 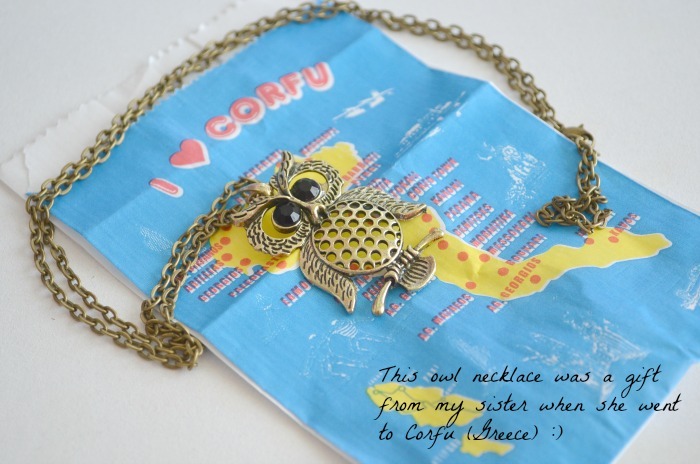 OMG I got an owl necklace from my sister recently as well!! So cool! 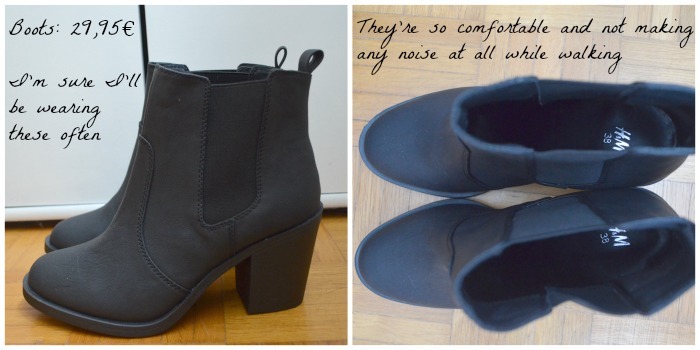 Love the boots, really affordable and that's great they're comfy too 🙂 I've just followed your blog! of course we could follow each other! Nice necklace! Although I'm Greek I have never been to Corfu. I have followed back on GFC, bloglovin and google +. I'm also following you on pinterest. such a lovely classic outfit! check out my blog if you get a chance !